LenDenClub > Borrowing Money > Debt Consolidation Loan – How to Get Over Credit Card Debts? If you own multiple credit cards, you might be in debt. You can avail a debt consolidation loan from peer to peer lending companies to get over credit card debt. Sudeep is an IT professional, owning three credit cards with different credit limits. Every month, his salary goes towards the payment of credit card bills, apart from home loan EMI and monthly household expenses. Most often, he fails to track the payment cycles of the credit cards and misses the payment within the due date. As a result, his credit cards are charged to exorbitant interest rates and late payment fee. He is neck deep in credit card debt. What he needs is a debt consolidation loan to make his life simpler. A debt consolidation loan is a fresh way out to refinance or clear out multiple loans with one single loan. In simple words, it means consolidating all your existing debts into one payment. Why you need a debt consolidation loan? It can help you to pay off all your debts at a low cost. It can save you from keeping track of multiple cards, bills, EMIs and different payment cycles. 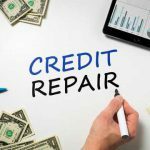 It can improve your credit score in the long run. Where can you avail a debt consolidation loan? Several banks and financial institutions offer a debt consolidation loan. However, given your poor credit history and failure to make timely credit card payments, they may not be willing to give you a loan. Even if they lend you money, it would be at a very high interest rate and with stringent guidelines. But, don’t be disappointed. The peer to peer lending companies in India will offer you a debt consolidation loan, no matter what your credit score, income or amount of debt is. What are the benefits of applying for this loan on a P2P lending portal? What is the process of applying for this loan on a P2P lending portal? You have to fill up an online loan application form, pay a nominal registration fee and submit your KYC documents. A few peer to peer lending companies in India such as LenDenClub will approve your request within 18 hours. Post the approval, you can immediately start borrowing from personal loan lenders registered with the portal. A debt consolidation loan availed through a peer to peer lending marketplace can put all your multiple credit card management worries to rest.